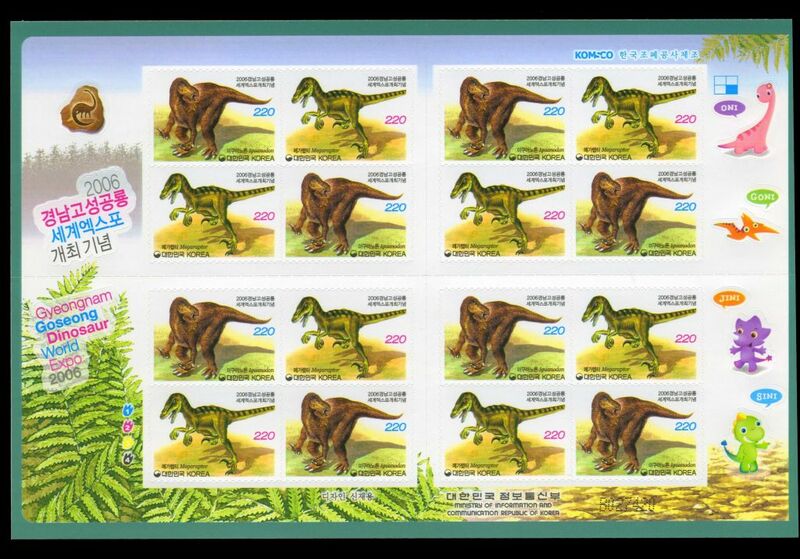 Korea South 2006 "Gyeongnam Goseong Dinosaur World Expo 2006"
Gyeongnam Goseong Dinosaur World Expo 2006 is being held in Goseong, South Gyeongsang Province, where multitudes of dinosaurs lived about 100 million years ago. 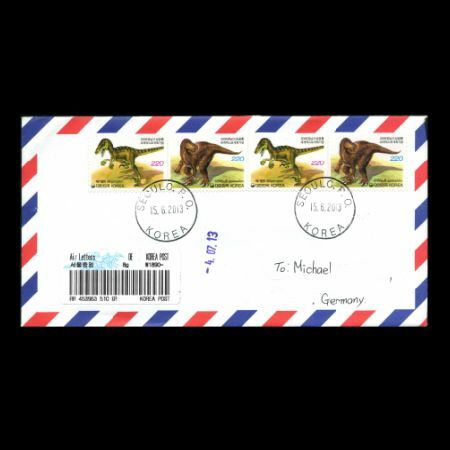 In January 1982, the fossil footprints of dinosaurs of the Cretaceous Period, Mesozoic Age were discovered in Goseong, South Gyeongsang Province. 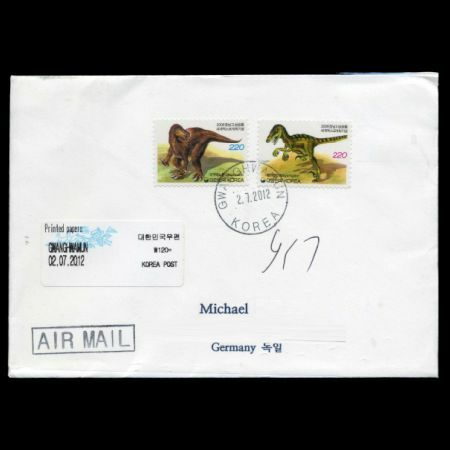 As many as a total of 10,000 dinosaur fossil footprints have been identified in the vicinity of the Goseong area, particularly in the region of Sangjokam beach: the worlds largest (115 cm) and smallest (9 cm) fossil footprints of sauropodus dinosaurs, fossils of dinosaur eggs and that of Cretaceous period birds, to name a few. 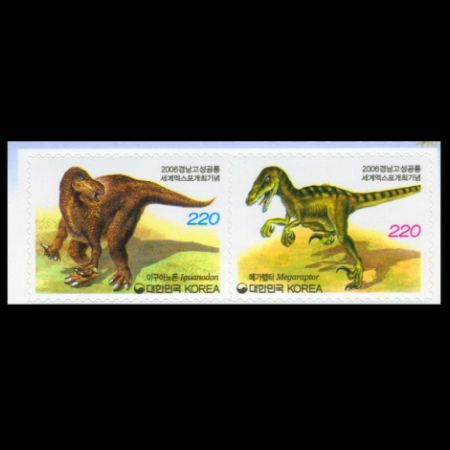 These fossil findings make Goseong a site of high academic value in the study of the Cretaceous Period, Mesozoic Age. 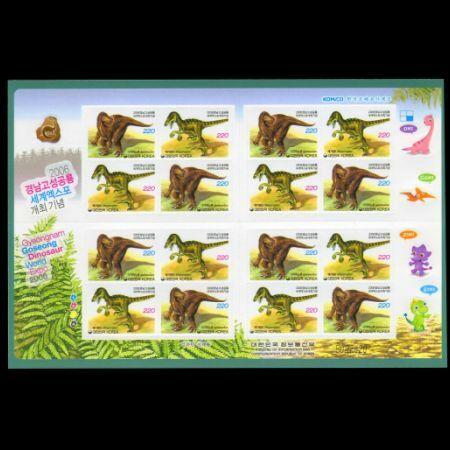 Currently, Goseong is recognized as one of 3 sites in the world with the largest number of dinosaur footprint fossils, together with Colorado of the U.S. and the Western Beach of Argentina. The 52-day Expo will run from April 14 to July 4 under the theme of the mysteries of dinosaurs, the earth and life. It will provide a valuable opportunity to encounter, in virtual reality, various dinosaur bones and fossils and to experience the lives of dinosaurs that lived a hundred million years ago. Numerous other events will be held as well including an international academic symposium on dinosaurs and international fossil/mineral exhibit, etc. 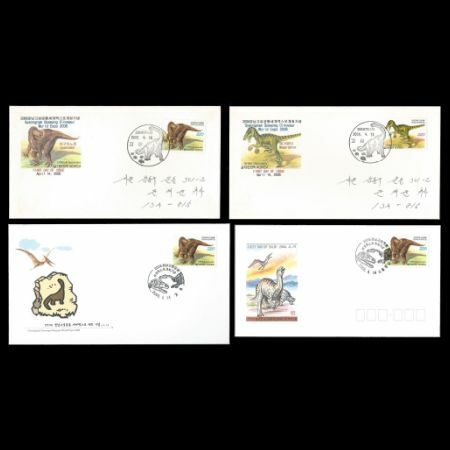 In anticipating that the Gyeongnam Goseong Dinosaur World Expo 2006 will be a resounding success, a new stamp will be issued featuring Iguanodon, a grass-eating dinosaur, and Megaraptor, a meat-eating dinosaur, both of which are assumed to have lived in Goseong a long, long time ago.